I have a few working in Thailand related posts on TTL, and one common question that comes up is related to income tax. Specifically, how much tax does a foreigner have to pay on his/her earnings, and whether others such as digital nomads, who are not currently paying tax in their country of origin, have to pay tax in Thailand. Tax law in Thailand is actually pretty complicated, so in this post I’ll just cover the need to know stuff. I would also advise that if you aren’t on PAYE with a company and are required to do your own return that you get an accountant. Tax returns have to reported in Thai, which presents a language barrier for many. 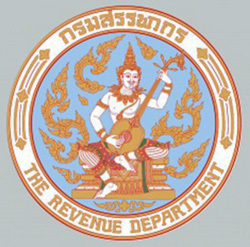 The Thai tax year runs from 1st January to 31 December. An income tax return needs to be made to the tax office by the 31st March, for the prior tax year. Payments need to be made immediately because there are penalties for delayed processing and settlement. For those earning income from property selling or engineering, architecture, accountancy, fine arts and the art of healing, the tax return must be filed on or before the 31st of September, with the tax due on or before the 30th of June of the following year. Foreigners should note that when renewing your work permit, you will need to show a copy of your tax submission for the previous year. Yes, I know what you’re thinking, Thailand’s tax rates are pretty much the same as my home country! One saving grace is that Thailand does not have a 45% tax rate like some countries. All forms of earnings are generally taxable and fall under the personal income tax bracket. This ranges from a work salary to capital gains or dividends, lease transactions, or even selling clothes on the sidewalk – as long as the earnings are over 150k per year. There’s a a myth among the “work online” community, which, by the way, avoids the work permit issue because the current law simply doesn’t legislate for it, that Thailand is a grey tax zone; meaning one can work inside Thailand and not pay tax in their home country, or Thailand for that matter. This isn’t true. Everyone has a tax liability in Thailand. So if you're a digital nomad in Thailand, working as a web developer, blogger, web cam stripper or whatever, you should be aware that if you aren’t paying tax in your home country, you will need to pay tax in Thailand. Thailand is not a tax haven. It never has been, and isn't likely to ever be. The law stipulates that anyone who resides in Thailand for longer than 180 days is considered a resident for tax purposes. That’s right; not a resident as in a citizen, but citizen as in eligible to pay tax. This means you’ll need to pay tax on your global income, which is money you earn in your home country and any other country. If you are a foreigner and reside in Thailand for fewer than 180 days each calendar year, then you are will only have to pay tax on the earnings that you earn inside Thailand. Now, before you say, “But I haven’t got a work permit!.” It doesn’t matter. Those who do not have a work permit are NOT exempt from paying tax. “But how will they know I’m not paying tax in my home country”, you might ask. Thailand has double tax treaties with nearly every country on the planet. The purpose of a tax treaty is to prevent a company from one country being taxed twice on income earned in the other country. This also applies to individuals performing services in the other country. So, if you are paying tax in your home country, you’re legal. If you’re in the “grey zone”, you’re not. You see, it’s very likely that when Thailand finally does get around to addressing the digital nomad visa/work permit issue, that they’ll realise most of these people aren’t paying tax in their home countries and by law should be paying tax in Thailand. And tax is always collected on retrospective earnings. Food for thought. If you are earning profits and residing in Thailand, you need a tax ID number to pay your dues. The tax office will happily grant you a tax number. To acquire one, you’ll need a passport or identity card, and need to demonstrate why you need a number. Like every other country, tax deductions and allowances are available in Thailand too. These are intended to reduce the tax load and make it seem almost generous that the tax man isn’t taking the shirt entirely off your back, so to speak. Got a specific question related to tax in Thailand? Leave it in the comments section below. Hello, re. your chapter - "Tax Deductions & Allowances, Income, Deductible Expenses"... above:Am Scandinavian expat. 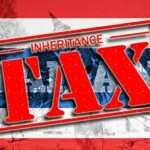 (70+) Pay reasonable tax in TH. Get refund of drawn tax in my home country. So far so good. - BUT, regarding:Source of Income2. Copyright Income - 40% – not more than 60,000 THBI might get substantial "Copyright Income" in the future... IF those exceeds, let's say - 5.000.000 mill. THB ? ?WHAT would the taxation i TH be on my income from my Copyrights? (40% of ??? - No more than (a total of) 60.000 THB... -Thanks up front 4 your response!Curious "FalangViking"
Hi Falangviking,4m TB + is taxed at a rate of 37%.Thanks. I don't know about this deduction and whether it applies to foreign nationals on retirement visas, and I don't know how pension tax works in Holland. My experience is that pensions are taxed at source and you wouldn't be able to take the pension tax free on the basis that you will pay tax in another country. If you call your local tax office back home they will have the answer to this. Hii I am getting 110000 THB then what will be my taxable amount and how much the deductions will be there from my salary... ??? Hello, can you please explaine about life insuarence and tax deduction, and this point : amount actually paid but not more than 100,000. What if I am over this amount? Pensions are taxed at source aren't they? So you receive your pension already taxed. I doubt you would save much anyway; you may even pay more. I don't know all the rates for the Netherlands. Hi, thanks for the great article and useful advice. I am planning to move to TH as an accompany parent of a student visa holder and have rental income from a property in Singapore which is taxed locally. Understand that income won’t be taxed twice but do I still have to request a tax iD and declare it and claim tax treaty benefits? If the income is taxed at source and you aren't working in the country, employing anyone in Thailand, or working for a Thai company, there is no need to get involved with the tax man. My partner has just taken a job and he will be working for a year in Thailand. The salary he has been offered is £80,000 which is approx 3.3 million bahts. How much will his monthly salary be? Can anyone help? We can see the tax is 30% but will this be on the whole amount?Thanks in advance. You won't pay 30% on the whole amount, it's progressive. The same as it is in the UK. Ok, great. Can you recommend a calculator to work out a monthly salary? Tax will be paid based on your expected annual salary for the current tax year. Just apply the scale to your annual salary (less any allowed deductions/exemptions/allowances) and divide by 12. I have a volunteer visa for past 10 years and had never open a tax file. I have closed my tax file in Malaysia when I relocated to Thailand. My support is about THB 30,000 per month, from family, friends. Should I open a tax file & pay taxes here in Thailand cos my lawyer told me that volunteers do not open tax file. A volunteer isn't supposed to be paid a salary, so there would be no need to file a tax return. I enjoyed reading the article! In Thailand, taxes are imposed at both national and local levels. The central government is the main taxing authority. Hi guys, silly question here :) . How do you count te number of days? It looks like I'l close to the limit and wonder if arrival and departure days are included or excluded from the 180 days total. Thanks in advance for sharing your insight! Yes, the arrival and departure days are included because those would be the dates stamped in your passport. Yes, it's progressive. But if you are unfamiliar with the tax rules you should check with a pro to make sure you get all your allowed deductions. I don't understand what they mean. You'd need to clarify this with the accounts department or tax office. If you can't get a satisfactory answer, bear in mind that you can walk into the office of any accountant in Thailand and pay for half an hour of their time to have a look at your pay slips and clarify exactly what you should be paying. I doubt it will cost you more than 500 Baht. That doesn't sound too surprising since the tax rates are by year. If you were earning say 1,000,000THB per year then for the three months of 2018 you worked your annual salary from the school was 250,000THB for the three months you worked. which would put you into the 5% bracket. This year you'll earn the full MegaBaht so you'd be taxed at 20%. (This is an example only the real numbers would fall out of what you actually earn. )When coupled with the allowed deductions and a salary that's different than the example, then the tax doubling doesn't seem to be out of order. It would all depend on what your numbers really are.As TTL says an accountant can step-by-step you through the logic and the tax charts and it shouldn't be too hard to find one with good command of English. I'm an expat living here for a year now. I was employed for the first 6 months and later on my company asked me to search for a new job. They said they will keep the visa and work permit valid until I get a new job. Now I got a new job and planning to cancel my work permit and visa and go to home country and apply for a new visa. But I have to deal with the tax papers. I guess my company paid taxes only for first 6 months. What can I do about the remaining 6 months? I was not paid for the last 6 months, so is it ok if the taxes are paid only first 6 months? You only pay tax on what you earn. So if you only earned money for six months and the tax is paid on that then no problem. Hi! I have a concern regarding tax number. The agency deducted tax contribution from us for the past 6 mos. ,then we finished the contract for the first term and transferred to another school. We asked for our tax number from the previous school because the new school needs our existing number for the process of our papers. But we were surprised our former agency manager said they didn't have the number and we can file and get tax number for ourselves.How come they have deducted from us and yet we didn't have any tax number?Can we demand the previous agency to furnish us what we need?Thank you. I have a WP and visa with my company. They automatically tax me every month and I sign forms to prove this in February with an tax submission agency.However I do work a second job at a language school which isn't taxed automatically every month. This second job amounts to less than 150,000 thb earnings per year.Should I be submitting proof of earnings documents from the 2nd job when I sign the forms with the tax agency? i.e should it be combined with my salary from the 1st job and taxed or is it deemed separate and untaxable? Your taxed on your total income, so you’d have to declare it and they’d combine it with your yearly earnings. Your work permit allows you to work one job, the job attached to your permit. You can't work freelance under that permit. Here's a sticky wicket for you. I taught English in Thailand for five years up until April of last year. All work permits and taxes were taken care of by my employers. From April on I'm been trying to make a go of it as a digital freelancer working for companies outside of Thailand. I don't have a work permit and I haven't paid taxes since April, 2018. I am here under a type "o" marriage Visa. My wife is an invalid who requires dialysis three times a week. Without my care, she would die. Do I need a work permit and do I need to report income? I'm transferring all my money to my country and they are asking me about payed taxes. I only got income form my work in the hotel. They were in charge of paying my taxes. I work there 2,5years. How i get this Information? Any Way i can get this info by myself in internet? I have my ID tax Number for thailand. Speak with the accounts department at your work. They will be able to request a breakdown of tax paid from the revenue department. If not, you might have to go there and do it yourself. I am an expat living in Bangkok, and on a local contract. I am paid salary, net off month taxes by my employer. I have an unemployed wife *(housewife) and 2 small children. Parents are over 60 yrs old and living in my home country, on my financial support. Do I entitle to claim allowance/deductions for my family and my parents? What about health insurance purchased for myself and my family in my home country? Can I be entitled for that too? You might get the exemption for your wife and children but not for parents living in your home country. Speak with the accounts department of your employer, or alternatively contact the tax office directly. I am retired and have a pension from Netherlands. How many percent tax I must pay in Thailand? Is your pension not taxed at source, in the Netherlands? If I divest all my interests in Canada and move to Thailand, my company pension will not be taxed in Canada. Will it be taxed in Thailand? It won't be taxed automatically, you would have to declare the income and let the Canadian tax authority know that it is being taxed in Thailand. You might want to seek advice on this to find out in which country you will pay the least tax. If my parents are living in my home country and I am supporting them. Can I claim parents allowance ? any document would be required. I am retired, now living in Thailand and have no earnings - here or anywhere, only interest and savings. Am I required to pay Thai tax on interest earned outside Thailand but remitted here? Many thanks. Interest is still income, so it would depend on the amount of interest. If your savings were generating enough interest to pax tax, surely you'd be paying this in your home country anyway? We are now non resident in our home country and wish to settle in Thailand and do everything properly. Our interest is earned in a different country entirely on which we pay withholding tax only. We do not remit in the same year the income is earned - it is always the following year, so do we still need to register and pay Thai tax? Many thanks. It depends on your country of origin and the rules they have in place. For example, in the UK, even if you are a non-resident citizen living abroad in Thailand, you still have to pay tax on any income arising from a UK source. There are specific exceptions such as disregarded income, which consists principally of dividends and interest, but not rental income. We do still pay tax at BR on our UK income and file UK non res tax returns annually. I'm talking about remitting interest to Thailand (not the UK) on which we pay AIL 2% at source only - do I need to register and pay in Thailand if remittance is in the following year to that in which it was earned. Thank You. No. The tax has already been paid, so under the double tax treaty you wouldn't pay twice. Hi,I work in thailand since 4 years , i am paying health insurance premium for my non working wife ( non Thai) and my daughter . I have taken Aetna Health insurance for my family ( i am not included in that because i am covered with my employer health insurance). Can i claim the tax refund or any tax benefit. Can you please help as i i pay very high tax in Thailand . On what basis would you be claiming a tax benefit/refund? Good Evening, I have lived in Thailand for 6 years but constantly travel. For example I was only in Thailand 160 days this year and 156 last year. I am paid by UK company and pay no tax in UK, only national insurance. Am I write that I pay not tax in Thailand? Your tax liability is in the UK. You should be paying tax there. My husband got a private contract from the government in Thailand. The contract is for about 2 years. A cross check got issued to him by the Ministry of Works and Labor and when he was depositing it to his account in the U.K., he was told to pay income tax first before he can deposit the check. What is the law concerning this? Why is he going to pay the taxes first when the project has not started yet? I don't quite understand. You wrote: "a crosscheck got issued to him by the ministry of works and labour and when he was depositing it into his account in the UK...."When you say crosscheck I assumed you meant a background check prior to him starting work. But you indicate he deposited something into his account, so I'm assuming they paid him money. Who told him to pay tax, the bank in the UK, or the Thai government who issued the contract? The question is not clear, so I am a little confused about the circumstances. The crossed check which was given to him cannot be cashed not until he will pay income tax out of it. It was required by the bank in Thailand. Right, so it is a crossed cheque with specific instructions, to pay income tax before cashing. I'm surprised they are paying him before the project has started, or is it some sort of down payment? It seems quite a strange arrangement to me. Anyway, if that is the instruction then that is what he has to do. If it is a large sum of money, or he is expecting further payment that will amount to a fairly large sum of money, it would be a good idea to go and see an accountant and get everything processed correctly. I have never come across this situation in Thailand, but it would make sense because otherwise he could cash the money and then leave Thailand without paying the tax due. Unless his company is UK based and he pays tax in the UK, in which case he could let them know and he would be exempt under the double tax treaty. He is a private contractor and the government approved to give the whole amount to him. He was required to pay bond and to have a Thai attorney to stand for him. He already did those 2 requirements but he cannot deposit the check to his account because he was asked to pay the taxes first. I see. Interesting. Guess he has to pay it. I'd ask the attorney; he'd be the one who knows the legislation around this. Hi, I have been Thailand for about 2 years and have resided in Thailand for most of that time.A bank in a foreign country is liquidating some of their existing investment funds and require me to: a) divest my part of the investment fund and transfer the cash amount to my chosen bank account b) To reinvest the amount into their new investment fund in their foreign country.My question is if this banks liquidation of their fund will trigger a tax event to be paid by me in Thailand? None of liquidated or funds monies are expected to be or will be transferred to Thailand.Thank you. In the event of a cash payment due to the liquidation, I assume the tax will be due in the territory where you pay tax. Your accountant would be able to advise on this. Do you not pay tax each year on the investment gain? Or will tax be due on the withdrawal/end of the investment? Either way, you're no brining the money into Thailand, and I assume you don't pay tax here, so any tax would be due in the territory in which you have a tax liability. No, you are good as you are. Thailand has a double tax treaty with the UK to ensure people are not subject to tax twice. Hi I am working in Thailand on a company work permit. My work permit states I earn 50K baht a month and I pay tax and insurance based on that. I am only earning 25 to 30k a month . Should I paying less tax or should i being getting the amount my work permit states? Both, I would assume. Your work permit should state what you earn, and you should pay the tax on that amount. Can you query this with your employer? So if the income tax is to paid by the income earner (local or Thai) how about witholding tax ? are they the same? The two are different things. Withholding tax is a deduction from payments made to suppliers who provide a service. I live in the EU. I don't reside at Thailand at all. Let's say that i have i Thailand bank account which i use for receiving payments for goods i sale within EU. What happens ? You mean the tax man of Thailand ? But my income will not be coming from Thailand. I mean the tax man of your home country. If it were that easy to avoid tax, everyone would be doing it. I read through your article but I am unclear whether the income brackets were based on USD or BHT. If I am a foreigner living in Thailand making anywhere between 10-18K USD per month. I am married with one child planning to submit a joint tax return in Thailand. What is my tax bracket and what are the allowed deductions? thank you! Yes. If you pay tax in the US you don't need to pay it in Thailand. You only pay tax on money earned within Thailand (not taxed in the US), or untaxed money brought into Thailand in the same year it was earned. I am thinking about moving to Thailand for 1 yr starting 8/1/2019 and I would like to live off of about 3500 per month of my retirement pension I am 55 will I have to pay Thai taxes, I only pay Federal tax on my pension in the U.S.
No you won't. Nice pension for someone so young! I heard there were a bunch of circumstances that could bring your tax down, for example if you are married, taking care of a parent, if you bought health insurance in Thailand. Is that true? If so what is the official list and how much can be deducted? This article does not quite cover all the facts. Thailand has a remittance based tax system, which means if you do not bring your offshore earnings that were not sourced in Thailand, into Thailand, that income will not be taxed in Thailand. If you structured this properly, and had these earnings paid into a bank account not located in Thailand, they will be tax exempt in Thailand the year they are made. You are then able to remit these earnings into Thailand the following year, tax free. Yes, as stated, only earnings brought into Thailand in the same year are subject to tax. I don´t think it´s stated in the text, at least I can´t find it. That´s why he asked and me too a few weeks ago. Anyway thanks for confirming and for your blog! I really struggle with this concept, I wasn't aware of this until now so I will be applying for 2017 as was here more than 180 days (prob pay a late fine). So far just here 108 days in 2018, but looking like I'll go over180 days for next few years, so I want to get this Thai tax number and do returns every March.If I have savings in an offshore bank account to where I get paid every month. How exactly do I prove that the cash I spent to live on in 2017 was from a prior year? Just the starting balance in Jan 2017? I always take what I need out of ATM's as I can't seem to get a Thai bank account. I very much doubt this has anything to do with Thai taxation. it is more likely to be witholding tax in Singapore. Did you check on that?Singapore withholding tax (known as tax deduction at source in other countries) refers to the tax withheld and paid to the Inland Revenue Authority of Singapore (IRAS), when a non-resident company or individual derives an income from a Singaporean source, for services provided or work done in Singapore. Hi, may I know if I have a business partners in Thailand and he wants to transfer money to me in Malaysia, do the government hold the money and want me to pay 1% tax, or will it just go through? It should just go through. I can't see reason that they would hold the money, unless the bank has a threshold. Some banks have a threshold, and when a transfer exceeds a certain amount it triggers an investigation, at which point the bank may contact the sender to question why such a large amount of money has been transferred. Hello i have a quistion, my english is not perfect sorry for that, How much taxes do i pay, if i made monney with binairy from platform with a thai bank card, lets say if i would withdraw 150,000.00 US to THB how manny taxes do i pay at the thai bank, and how many % ? does anyone have any ideas. Hello, I have a salary paid in HK by a HK company and I pay my tax in HK. I will leave in Thailand because my wife is relocated there. I will be traveling in and out of the country every month to go back for a week in HK but the total of days will be over 180 days. Will I have to pay taxes in Thailand? I am moving to Thailand later this year but I will be travelling back to UK to work every two weeks, meaning my longest period I will spend in Thailand will be 42 days consecutive. I have enquiries with UK tax office and have explained I will be out of the country for more than 183 days making me tax exempt for UK. I will only spend 179 days in Thailand. Could you advise what tax if any I would expect to pay? You would fall short of the 180 days to make you a resident in Thailand for tax purposes, but you still have a tax liability and therefore you should pay your tax in the UK. You need to be careful with this too. The rules are not simply as straightforward as how many days you spend in the UK:Whether you’re UK resident usually depends on how many days you spend in the UK in the tax year (6 April to 5 April the following year).You’re automatically resident if either:- you spent 183 or more days in the UK in the tax year - your only home was in the UK - you must have owned, rented or lived in it for at least 91 days in total - and you spent at least 30 days there in the tax yearYou’re automatically non-resident if either:- You spent fewer than 16 days in the UK (or 46 days if you haven’t been classed as UK resident for the 3 previous tax years) - You work abroad full-time (averaging at least 35 hours a week) and spent fewer than 91 days in the UK, of which no more than 30 were spent workingA lot of people get caught out by this, because they think that, well, I am out of the UK for more than 183 days in the year, and I am not in another country registered for tax, nor do I meet the requirements to be a resident in that country, so therefore I don't have to pay tax. But this is not the case, because you still have a tax liability. Moreover, if something were to happen that meant you had to stay in the UK for slightly longer in the tax year, that may tip you over 183 days and you would automatically become eligible to submit your accounts for taxation.The last point here, which may or may not apply to you, and where people become unstuck, is that when you earn an income that is untaxed and you are residing outside of the UK as a non-resident, when you bring that money into a UK bank account, or into the country in cash, it becomes eligible for taxation - unless you can prove that it has been taxed elsewhere.This is something I was advised on some years back by a friend of my fathers who works for PricewaterhouseCoopers.I have discussed a similar topic elsewhere on the blog. There is a whole generation of freelance workers going under the radar in Thailand. They are perhaps a UK or US citizen but living in Thailand on some sort of non-working visa, earning money through online sources and being paid from companies in different countries around the world. Most are under the impression that they will not have two pay any tax, because the current Thai work permit law does not apply to freelance workers who work on the Internet, do not own a company in Thailand and are not employing people in Thailand. And they are not living in their home country.But many will come unstuck when they want to move back home, because if they bring their income back into their home country it becomes eligible for taxation. And at some point, if the tax authority decides to audit their company, they will realise that they have been working and earning money in another country, and the money they have earned has never been taxed or declared. There are ways around this, but it is quite complicated and would mean leaving your money outside of the country permanently. What I have learned over the years is that high-level tax evasion is for the very wealthy; people who are able to create shell companies and complex company structures that span different territories. For the average self-employed person, a good accountant can save you a bit of money, but the majority of advantages have been taken away over the years. No, you do not have to pay tax in Thailand, because effectively you have been subject to taxation in your home country, but your home country has determined that you are tax-exempt. Yes, this is correct, as I state in the post. Is this a Thai company? I can't see the issue here. Why can your company not pay your tax now? They can just contact the revenue department and say there was an administrative error. They can then proceed to pay. They may get a late penalty, depending. Hi, may i know, which authority in Thailand carries out the taxation? Thank you! Hi. Hope anyone has information about the incorrect tax return filing.I just found out, actually RD just found out that I have been incorrectly deducted my personal income tax for about 5 years or so. I deducted the item I was not supposed to deduct. RD informed me to pay back for the last year's deduction, which I have no problem with.But the question is, how far back can they charge me the penalty. It was unintentional mistake and deductible amount was small until RD also did not notice until this year.If there clear law stating how far back RD can charge me back for inaccurate return filing?Thanks. I don't think you will have to pay a penalty, but you will have to pay what you owe for the years that they have highlighted the problem. The only information on penalties I can find the penalties for late submission and tax evasion. I think your mistake is an honest one that will be recognised. You haven't deliberately tried to evade tax. Hi. Thank you for your reply.So far, RD have informed me to pay back for the last year's but they said they will contact me again.I will update again once I get the confirmation. It's probably just a random check, as tax authorities do in other countries too. I am not aware of any new rules. I send cash gifts to a friend in Thailand. Would she be liable to pay tax on that money. I presume you declare it on the tax return for the year in which you bought the money into Thailand. Your account within you file your return will be able to advice you fully on this. I am sure he or she will also be able to save you money. Hi, I want sell my Thai condo on a “rent to buy” contract on 5 Year. How is this tax calculated? As a UK citizen I would like to retire to Thailand (and not work).I would receive a final salary pension, income from a rental property,and use equity I have released from buying the rental property to a sum of £1500 per Month/ £18000 per year income. What is my exact Tax situation including any personal allowances I would be allowed? I would assume the following:1. Final salary pension is taxed at source. This money will not be earned in the same year as it is being brought into Thailand.2. Income on a rental property: It depends how you manage the money. If you are living in Thailand for 180 days or more a year, and you bring money untaxed money into the country to spend in the same year, it is eligible for taxation in Thailand. But if you were registered to pay tax on this income in the UK, then the double tax treaty that exists between the UK and Thailand would mean that you would pay tax in only one country.3. As far as I understand it, in the UK, an equity release from a property is tax-free. However, if you invest that money in a high-interest account or other investment, then profits from the investment will become taxable.As far as I understand it, if your tax affairs on these income source are handled in the UK, then there would be nothing to declare in Thailand. That said, I am not a Thai accountant and you should always seek financial advice from a fully qualified professional. Hi, I am retired in Thailand; when I transfer money from my country ( in Europe ) to Thailand, do I have taxes to pay and which percentage ? I know a e-revenue office who says I have to pay taxes on my transfered money Is it legal ? You do not have to pay tax if you are bringing in money that has already been taxed at source. You would only pay tax if you are in Thailand for more than 180 days a year and are bringing in money earned in the same calendar year that has not been taxed at source, or money that is going to be taxed as part of your earnings/tax return in your home country – because of the double tax treaty that will exist between your home country and Thailand. So. If I wanna live in thailand, but I work abroad. ( 1 month work/ 1 month off) us it's possible to stay in Thailand and then just pay my taxes in Thailand and get visa? Does Thailand law levy personal income tax on retirement income (such as pension), or on any non-earned income of a retiree? This question does not consider the double taxation treaty, which of course would be a consideration for each foreigner residing in Thailand. Not that I know of, because generally pensions are taxed at source. If I stay less than 180 days in Thailand, am I still allowed to get the deduction for my spouse and children? I'm not sure on that. To be considered resident you need to stay 180 days, so perhaps not. Your spouse and children must be in Thailand too. Hi, I am a Canadian citizen. I worked for a company in Thailand last year as a freelancer while I am in Canada. The company withheld 15% of the taxes to the government. Am I still obligate to file Thai income tax return? I believe under tax treaty, I can avoid tax double taxation. If so, do the company need to issue any certificate for the total taxes they paid during the year? As a British citizen who's lived in Thailand for over 180 days; and who's purchased/owns cryptocurrency whilst in Thailand and has held it in their crypto wallet for over a year. Do I have to pay tax on this in Thailand; and if so how can/do I go about doing this?If I transfer my cryptocurrency fiat amount back into my Thai bank account, can I just deduct the tax amount I need to pay directly from this money in my bank Thai account, in order to pay my Thai taxes?What happens if I transfer my cryptocurrency directly back to my UK bank account instead? Where/who do I pay my taxes to? Thailand or UK tax inland revenue?Some general advice would be appreciated. ThanksWith extensive research on the net; the info is till quite vague for my liking. Any help/advice would be great. I have not researched the law around crypto currency and tax. I have some crypto myself but not a major amount. I would assume that crypto would be eligible for tax when converted to fiat currency inside Thailand within the same year it is converted.If you transfer it back to the UK, could choose to pay tax there.However, if you already pay tax in the UK, you would continue to do that and wouldn't need to pay tax in Thailand because of the double tax treaty between the two countries. If you don't, I think the decision is to decide where you want to pay your tax. Hi, I am living in Thailand for about 7 years.I trade stocks on a regular basis with an international broker. I haven't paid tax on my gains in this period. I was under the impression that if I didn't bring the funds into Thailand, or a period greater than a year, I would be exempt from tax. However, I don't feel comfortable about it. I do not have a thai tax id number as I have never worked within Thailand. If there is tax due, I would like to pay it. I would like to find out more information but it is difficult to find an accountant/ tax lawyer with the knowledge to deal with this. If you don't bring the income into Thailand in the same year then it isn't eligible for tax. I assume you pay tax on your earnings in your home country anyway? And your country most likely has a double tax treaty with Thailand, so you wouldn't need to pay tax twice. I assume you pay tax on your earnings in your home country anyway?”Just to clarify, yes, I realize I must pay tax on any earnings I do make "within" my country of origin e.g. property rental, pension, business. Therefore, I am not required to pay tax on these earnings in Thailand as there is a double taxation treaty. However, I am not obligated to pay tax on money earned outside of my country of origin as I am not resident. This applies to every country in the world except the U.S. as far as I am aware. (Do your own due diligence on this matter) The only country that I am liable to pay tax to in this situation is my country of residence i.e. Thailand. No, you don't need to pay tax twice. Thailand has double tax treaties with most countries to avoid double taxation. Hi, If I have a capital gain of one million Singapore dollars at Chiang Mai. But my business partner in Chiang Mai told me that d Bank he want to TT me this amount was held back by the bank. Bcoz he say d Tax authority want me to pay taxes before this amount can be released. I understand and I agree to paying taxes but it is true that I have to pay d taxes amount before they can release me my gain or can they actually tax directly from my capital gain and return and TT me back d nett profit. Was the money you're bringing in earned in the same tax year? Are you residing in Thailand for more than 180 days in a year? If yes to both, you need to pay tax on it. Didn't you start paying tax when you had your first work permit? I am a non Thai person working in Thailand for last 1 year and my company has deducted tax for the last financial year. I have one child and my family is in home country.How can i apply for Income deduction for my child? In the e-filing form , it is asked to fill the Personal Identification no: of my child. I tried to fill the passport no of my child there,but rejected and error is popping up.Please have a reply.is it not applicable for a non Thai person to claim the deduction for children? If I am a US national with corporate entities in 2 or 3 other countries and live in Thailand most of the year, my taxable income would be all income generated in Thailand alone correct?For example:Entity 1 in the US generates $200k but given current tax law much of this can be deducted there is almost no corporate liability.Entity 2 in Singapore generated $200k but given taxes in Singapore only 17% in corporate taxes are due.Entity 3 in Thailand receives some fee income from Entity 1 & Entity 2 with a Thai salaries paid of lets say $50k per year. Only the $50k per year paid in Thailand is taxable? Taxes are paid in all other countries at the corporate level even though they are lower than those due in Thailand - nothing else is due in Thailand? I work in a thai school earning 30,000 a month. My employer say that taxes are deducted from my wages. My contract says 32,000 a month. But U receive 31,000 due to tax reductions. Is this amount for tax deductions typical for foreign teachers in thailand?I do not have a tax id card. Do I still need one? How should I get one? I have been in Thailand for 2 years. Depending on the country you are from, teachers are usually exempt from personal income tax for the first two years. Sometimes schools pay gross for two years, and other times the teacher can apply for a rebate. Hi, excuse me The Thailand Life, but who is this reponse directed to in particular? That was to you :). You have to add the amounts together and pay tax on that. Less the appropriate exemptions and deductions. But if you are working under a work visa from employer A that does not cover your work under employer B you are in a place that you might want to seek some professional advice. Hi!I have a question about taxation in Thailand. I'm based in Thailand (married to a Thai lady), but work as a freelancer in my home country. I pay full taxes in my home country, but nothing in Thailand. I don't have a Thai work permit.My questions are: 1. 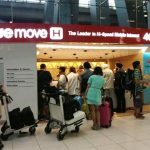 Do I still need a work permit in Thailand? If yes, when it's time to do my taxes, do I just tell them that I already pay taxes in my home country, so Thailand is not getting any money? I doubt they are going to like that very much.2. What are the chances of being caught by the Thai government? I get a feeling that are not overly interested in chasing down farangs, unless they take jobs from Thai citizens, of course. Does my home country (in Europe) share info with Thai government?If anybody knows, I would be very grateful. Hey Paul,1. Technically yes, but practically no. There are thousands of people in your position and none have work permits because they aren't working for a Thai company, or their own Thai company. You wouldn't be able to get a work permit because you wouldn't meet the criteria. Please read this post and the comments here: https://www.thethailandlife.com/working-online-thailand2. They aren't interested because they haven't come up with a solution for it yet. There was the famous case of around 12 freelancers being arrested at a workspace in Chiang Mai. A rival of the company grassed the space up for employing foreigners without permits. They were all released once the police realised the foreigners were just freelancing for themselves and not working for the company. It was rumored a few years back that a special visa for freelancers working online, but outside of Thailand and paying tax in their home country, was to be devised - but it hasn't materialised to date. Your pension is taxed at source, so you won't pay again in Thailand. Any untaxed income brought into Thailand in the year it's earned is eligible for taxation, if you spend more than 180 days in the country in the calendar year. i work and live in Malaysia and get paid into a Thai bank account(im a consultant) i dont live in thailand but i use my partner in Thailand's company to invoice from to Malaysia..... i was told i dont have to pay tax in Thailand because none of the money is generated there... im subject to a with holding tax here in malaysia which they take before transferring the money..... ive been all over the Thai tax pages and cannot see any clear definition for my case..... Is this right? By definition of the law you don't reside in Thailand so your tax liability isn't there. If you are paying tax in Malaysia then that's where you should declare your income. Withholding tax is a different thing though, it's simply a tax deducted at source for a person who is resident outside that country. So where are you declaring your income (paying income tax)? Wherever that is is where you should be paying tax on the money earned in Thailand. Are the Thai Income Tax bands you referred to above, still valid or have they changed for 2018? I just had a check and I can't see any changes of yet, so I assume they are remaining the same as 2017 - but I'll keep an eye on it. As I understand it, married persons get a 30,000 Baht allowance for a non-working spouse. However, this is applied to personal income tax returns, so I'm not sure if this will be applied for a person working for an employer whereby the tax is automatically deducted from pay. The quickest way to find out is for your wife to ask the accounts department if her marital status entitles her to the tax allowance for a non-working spouse. No it is not a breach not to claim it, it's just what you are entitled to do. As you suggest, if you are a high-income earner it probably isn't worth the hassle. I am retired and entered on an O-A visa. My sole income is my money that I receive from Social Security. I do not receive any investment income. Are United States Social Security payments taxable income? Nope. Through the convoluted mess that is the U.S. Tax Code you will find that they are taxed. However, because of personal exemptions, standard deductions, and the special 50% deduction for SSA income, no tax will be due. You also have the option through the "earned in the current year" loophole that Thailand's tax law provides to only bring into Thailand money that was earned the previous year. Plus - although the references I've found in my own research are not in complete agreement - Thailand does not tax foreigners for retirement income earned overseas. If I am living in Thailand and renting out a condo some of the time and this amount is less than 150000 in the Tax year - do I still need to get a Thai Tax Number and make a Tax declation? If a local is doing business using a sole proprietorship, can they deduct expenses such as automobile expenses, business-related meals, marketing, and so on in order to lower their overall taxable income with the hopes of moving down to a lower tax bracket? I have two queries: 1. I shall earn a salary of 150000THB/ MONTH., what is my tax deduction. 2. How can I save tax? 1. Read the post and look at the table that shows the tax bands. 2. You mean not pay as much tax? If so, move to Panama or another tax haven and work there. French Citizen, earning an income originated in Singapore (brought into Thailand in the year it was earned), and based out in Thailand most of the time.Where do I need to pay Tax? "A resident of Thailand is liable to pay tax on.. on the portion of income from foreign sources that is brought into Thailand. "I am trying to understand "that is brought into Thailand": I have revenues from investment in shares on which the Swiss Government raises an assessment tax (Vorsteuer). As a non resident I can get this tax back but I have to show Swiss tax authorities a paper signed by the tax authorities of the country were I am tax resident that I have declared these revenues in the country of my residency.Now, if I leave this revenues in Switzerland, do I still have to pay tax in Thailand (as it is income received) or will Thailand waive these taxes? You are only subject to tax on money brought into Thailand in the year it was earned. So if you leave the money in Switzerland, you won't have to pay tax on it. Moreover, if you pay tax as a business entity or individual (sole trader) in Switzerland, you won't be taxed twice (again in Thailand) anyway, because of the double tax treaty. I think you are overcomplicating this. You are still a Swiss resident. You are not currently registered to pay tax in Thailand, right? So you don't need to prove anything. And if you are registered to pay tax in Thailand (you complete a tax return), then getting this document should not be a problem. A Thai accountant would be able to help with that. At the Thai revenue department page: the following paragraph defines taxable person:Taxpayers are classified into “resident” and “non-resident”. “Resident” means any person residing in Thailand for a period or periods aggregating more than 180 days in any tax (calendar) year. A resident of Thailand is liable to pay tax on income from sources in Thailand as well as on the portion of income from foreign sources that is brought into Thailand. A non-resident is, however, subject to tax only on income from sources in Thailand.I am interpreting this that if I actually transfer only 50% of my income to Thailand, then I also have to pay taxes only for these 50% (as a digital nomad, I have income only in Europe and the customer payments are made to European banks). Or do I misinterpret this paragraph? If you stay 180 days + in any one year, and the money you bring in from Europe was earned in that same tax year, then you would have to pay tax. But, will you not pay tax on this income in your home country? Where are you registered to pay tax? Your country most likely has a double tax treaty with Thailand -- meaning you only pay tax once. If you pay tax back home, you don't need to pay tax in Thailand. But if a resident, because stay in Thailand more than 180 days+ and is therefor only taxable in Thailand, and not in Sweden anymore, even though im Swedish nationality - but owns a company in Finland and Malta, get dividends every year, if the companies did good.. Get a divident payout of lets say 15.000 euro in 2016 on my finland or maltese bank account, then can transfer in 15.000 euro to Thailand in 2017, taxfree? Because its not same calendar year... Then it would be a Tax Haven?And what about the money, if never brought into Thailand? Thailand isn't a tax haven. You have a tax liability. You must pay tax somewhere, whether in Thailand or elsewhere. Unless you have a company set up in a tax haven - but even then you may run into trouble when the profits enter your home country, because at that point they may become taxable; this is the case in the UK.The reason the Thai law states 'money earned in the same year' is because it presumes this money will go untaxed otherwise, and that you are now treated as resident in Thailand because you stayed more than 180 days in a year. At this point you would inform your home country that you are paying tax in Thailand, and due to the double tax treaty you would not have to pay tax back home. However, this may affect your tax status in your home country and indeed your tax set up. In truth, most people who have a company back home and pay tax back home do not register for tax in Thailand when they stay longer than 180 days in a year. The law is generally aimed at those who are retired in Thailand but bringing in untaxed income. Note that only the US and Eritrea have citizenship-based taxation.Thailand is effectively a tax haven when you only bring in money from past years. Most governments don't care about citizens who are not residents anymore, so for most people: if you live in Thailand, have a company in a tax-free country, and you receive company dividends outside of Thailand, that money is not taxable. @Ginuwine: The problem that I see with your situation is that Finland might consider you a resident for tax purposes, because of the ownership of a company there. A common criteria for tax residency is the "centre of economic interests", and your centre of economic interests is clearly Finland. Thailand is not a tax haven. While it is true that money brought in from previous years earnings is not subject to tax, if you are earning money in Thailand, from your home country or from elsewhere, you have a tax liability. I have been through the many scenarios with an accountant at Price Waterhouse Coopers. I could technically hide out in Thailand and only bring in earnings from previous years to avoid tax in Thailand, but if this money is earned in the UK it is taxable there. Even if not earned in the UK, when the money is brought into the UK (via bank account or other) it becomes subject to tax. There are very few ways to avoid paying tax, certainly now in the UK. It can be done, but people get snagged when they go home and transfer money to a bank account in their home country that goes over the tax threshold, or need to stay in the UK for longer than 180 days in a year. Thanks for your response. I agree that if you earn money in the UK it is taxable there.However, if you earn money in a tax-free country, you can spend as much time as you like in Thailand, and have nothing to declare, as long as you always bring in money from past years.Also, all dividends, capital gains, etc. that happen overseas are not taxable in Thailand (if they remain outside of the country).Naturally, one's home country plays a big role in this, and that's why a rule of thumb for tax planning is to cut all ties with one's home country.A person from the UK with nothing there, not even a cellphone number, who spends their time mostly in Thailand, and with businesses in Singapore and Estonia, can legally avoid personal income tax and possibly corporate income tax as well, if correctly planned.Thailand wants to address this with the introduction of CFC rules, but it might be a while before those rules are in place. Sorry if I'm stating the obvious, but just to confirm if I make my salary in Singapore, reside in Thailand, move my salary over a year later so as to not pay Thai tax, the savings I then have in Singapore will be taxed when I move them to the UK at a later date to say buy property for example? ANyone have any recommendations for a good tax consultant to best work this out. Is the salary taxed in Singapore? If so, no tax is due. No tax in Singapore as I'm not a resident. So what happens if this is not moved into Thailand? Are you almost better off moving it into Thailand then the UK so it's passed through a countries tax system? All be it maybe none is due if it's from the previous financial year? If you bring it into Thailand in the year after it is earned then tax won't be due. But you still have a tax liability. So when you bring that money into the UK it becomes eligible for taxation. Unless you have an accounting setup where you are protecting your money through a tax exempt territory and accounting system, you will need to pay tax at some point. Unless of course you plan to never return to the UK and there is a resident. Or you simply decide not to declare your earnings to HMRC, which I would not advise. I'm wondering this same thing - if I transfer only 50% of my income into Thailand, and pay tax on that 50%, what about the amount I leave in my home country? Will the home country expect me to pay tax on that amount too, or will the fact that I'm paying my legal share of taxes in Thailand suffice? If you transfer that money into Thailand in the same year you earned it then tax is due. The remaining amount would be taxable in your home country, if it meets the threshold of a taxable income. It depends on the tax law in India. Technically you are doing this work in India (from your computer), but the money is being paid to Thailand and never enters India. So it depends on how they view this under their tax law. That said, in my experience this income is taxable in Thailand. So whether you pay tax depends on how much you earn. Under 150k Baht is non-taxable. See the table in the post. If I am there for short term work (eg 4-6 mths), am I liable for income tax? I am a resident of a country with Double Taxation Treaty. Does that make any difference in income tax computation? If you are working as an employee for a company that pays tax in Thailand then you will pay tax on your salary. I am a foreigner, 2 years from now I started to work in Thailand , I have depended parent who stay in my home country. My parents are above 60 years old. Can I claim tax exemption for them? No, because your parents don't live in Thailand. It depends: Will you be residing in Thailand for more than 180 days in the calendar year? And will you bringing in income that was earned in the same tax year? If yes, then you are required to pay tax on that income in Thailand. Hi, I am considering to relocate to Thailand as a retiree. Is retirment income taxed the same as any other income? Thank you. Do you mean pension income? If so, this is taxed when paid at source and would not be taxed in Thailand. Thank you, that's what I wanted to know. Best wishes. No you don't, not if your country has a double taxation treaty with Thailand. Can you provide the names and contact info of some competent, English-speaking accountants? I'm currently not in Thailand, so accountants comfortable with email would be great. Try interactive thailand .com . I can't vouch for them but a good friend of mine uses them for his business in Thailand, which has 40 or so employees and has been running 7 years. Hello I do have a question about income and taxes. First of all I have a Thai friend that wants to hire me at his business. Is it true that for US citizens they must pay you a minimum of 60,000 baht a month in order to hire you and give you a work permit. If this is true then he will have to pay me 720,000 baht a year and at a 15% tax rate that is 108,000. So are you saying that at the end of the year I would be responsible for 108,000 baht but with a deduction of 60,000 baht for my wife and I and 15,000 for a child which would be 75,000 I would need to pay 33,000 baht to the Thai tax office every year? It would seem that way, though I'm not 100% clear if the spouse and child deductions apply to non-Thai partner/children, or partner/children of non-Thai worker.There is an update to the deduction as follows: Deductible expenses for income under Sections 40 (1) [employment income and other fringe benefits derived from an employment contract] and 40 (2) [service income derived from services that are not professional services and are not services provided as part of a business that requires substantial capital investment] of the Thai Revenue Code would increase from 40% of income (capped at 60,000 baht) to 50% of income (capped at 100,000 baht). Where is the tax office in Bangkok, there appears to be 3, do I just go to anyone of them? Hi.I just heard of a thai friend that if thais travel inside Thailand, and spend their holliday at hotels there, they can get a tax deduction.Is this true? Not heard of this, but I guess it's possible. Hi, I and three other friends jointly bought a condominium lease in Phuket which is to be leased out part of a hotel the property is still under construction now will be completed by 2019.I have a few questions as follows:-1) The developer has offered a 5% interest for the full payment we made - is this taxable ? and If yes how are we to file the income tax in Thailand ? Is there a minimum amount and below where we are not required to file tax forms ?2)Is there a different treatment for rental income that we expect to receive in the future ?3) The property is held jointly in 4 names, how do we file income tax assuming that we have to ? Is it filed jointly or separately filed by 4 separate persons ?4) Based on what I have read all of us will be non tax resident in Thailand as we do not spend more than 180 days in Thailand in any one year.5) Can you recommend an accountant or tax preparer that can help me file the tax forms in Thailand as none of us are anywhere near Thailand ? and How much would this usually cost ? This question has been equally asked in various forms below. However, it has not really been answered as far as I can see. Would it be possible for The ThailandLife to answer. I have deleted your capital letters. There is no need to shout.What part haven't I answered. I have answered this in full twice now. Please read my latest answer thoroughly. You can ask any reputable accountant and they will tell you the same. So you will be non-resident in your home country but living in Thailand. So your tax liability will be in Thailand. Thailand is not a tax haven, so when you bring your untaxed earnings into Thailand to spend, if you have not paid tax in your home country then you will be subject to tax in Thailand. Whether you choose to declare this or not is your business, but at some point, assuming your home country has an income tax system too, you will have to pay tax. Unless of course you incorporate a company in a tax-free country and go to spend the money there.As I have said previously: Avoiding tax is the easy part. You can incorporate a company offshore and be non-domicile in your home country. But gaining access to the money to spend is the hard part. Because the moment you transfer money from the country your company is incorporated in, you will have to pay tax. To avoid this, you would need to take up residence in a tax-free country too. But even then, what if you visit your home country and need to transfer money to a bank account there to spend. This is where you become unstuck. I quote: "Earnings arising outside Thailand - includes inter-alia job income; rental income; pension income; investment income (ie interest and dividends) that does not come from activities in Thailand - is only taxable in Thailand to the extent that you bring it into Thailand in the same Thai tax year that you earned it. If you are able to show that you are not relying on current year income for current year spending in Thailand (ie you are living off 'capital' (= earnings of previous years)) you will not be taxed in Thailand for those foreign (to Thailand) earnings. In short, Thailand does not tax any of its residents on worldwide income that is not remitted in the same tax year. If you are confident that you can demonstrate that you are spending in Thailand out of prior year foreign earnings and not out of current year earnings you can claim a tax refund. "But you still need to file a tax return. And as I've said, even if you are exempt from paying tax in Thailand, you still have a tax liability in your home country when the money is brought in, regardless of where you have been stashing it. Correct. But you still need to file a tax return.1. You are brining money into Thailand, so again, you need to file a tax return to show the money is not being spent in the year it is earned.2. Why would there be a need to report you? You should already be transparent about your earnings through your tax return.If you are earning a considerable income and you are seeking to avoid paying tax, it really would pay for you to spend some of that money on an accountant. You live in Thailand where accountants are relatively inexpensive, so just pop down to your local accountants and pay for an hour of their time to fully understand the requirements. My knowledge is proficient for the average person, but not for complex tax avoidance.Tax may make some politicians richer in corrupt countries, but Thailand offers free medical care to all its citizens, including the very poor and disabled. So you if you are benefiting from living in Thailand and using public services such as parks, roads, schools, hospital, cultural sites, etc., then it won't hurt you to contribute to society and help those less fortunate than yourself. I am considering retiring to Thailand from the UK. I would like to understand the tax position on receiving my private pensions in Thailand. I assume it would be treated as foreign income but would it be taxed? Your pensions are taxed at source when withdrawn in the UK. Therefore you wouldn't pay tax again on them in Thailand. I find this site useful as it clears up the gossip/ misinformation area. Someone had a question about land prices in or around major cities. I live in Surin province. Land is measured in RAI (ไร่๗ ไ้รแ้), which is some fraction of an acre. I think either 3/4 or 4/3, but it doesnt really matter. Here 20 Rai of land outside Surin costs 3m Baht, or 1 Rai = 150,000 บาท. Your Thai partner will own it, but that does not stop you sharing any profit on the land (either crop or resale, if a contract between you exists between you. Hello, the law say: "A resident of Thailand is liable to pay tax on income from sources in Thailand as well as on the portion of income from foreign sources that is brought into Thailand. "If one has incomes outside Thailand and does not bring those in Thailand in the year of earning, those are non taxable in Thailand. Please advise what is wrong with this as it is noty mentioned in your article? Also, in response to the very first comment below ThailandLife itself says"TheThailandLife saysIn terms of earnings on investments overseas, while living in Thailand, there’s a rule that foreign income is only subject to tax in Thailand if you bring it into the country in the same year it was earned. "So ThailandLife please kindly clarify. Thank you. You have clarified the question with my answer:) Foreign income is only subject to tax in Thailand if you bring it into the country in the same year it was earned. But also remember that it is likely your country has a double tax treaty with Thailand, so if that income has already been taxed in your home country then it is NOT eligible to be taxed in Thailand. Hello, I will try to ask the question in clearly manner. Let's assume that I reside in Thailand and I am a tax resident in Thailand. Let's assume that I receive incomes/interest in Offshore bank account from cash deposits and Intellectual Property Rights(Royalties) and those are not taxed in my home country as i do not reside there.Accordingly the law reading those incomes are not taxable in Thailand if they are remitted in the next tax year or not remitted at all in Thailand. IS THAT CORRECT? The offshore banks will start reporting the account balances in the country of residency(Thailand in this case) as from this year. Will this cause any tax liabilities/problems for a Thai resident (on retirement visa)? I wasn't aware that being married means you pay less tax. I'm pretty sure it doesn't. Admin where I work say it does but aren't sure how much less. We shall see. Regards. Hi Jan, I don't, sorry! The accountant of a friend of mine living in Thailand claimed: if you have no work permit, and mainly work "online" for business partners outside of Thailand, it is tax free. As: "no work permit" -> "no tax number" -> "no taxes". However this clearly implies: you are not self employed working in Thailand for Thai business partners or are "employed" by a Thai employer. Anyway, no idea if that is "correct", just liked to mention it in regards to your "Resident Vs Non Resident" paragraph, which basically contradicts the accountant I mentioned. Well, technically he is right because you need a tax number to pay tax. But they'll happily issue you one :)The point here is that if you are paying tax on your income outside of Thailand they you don't need to worry, if that is, you are a resident of a country that has a double tax treaty with Thailand.The issue here is that a lot of people are "hiding out" in Thailand and working online, believing that Thailand is a grey tax zone, or even a tax-free haven. It isn't.Sure, you don't need a work permit (yet) because the current law hasn't been updated to enforce rules for this type of work and they aren't sure how to tackle it, but regardless of the work permit issue your income needs to be taxed either in your home country or in Thailand.If you earn money, you have a tax liability. You will have to pay tax on those earnings, somewhere, at some point. Unless you want to move to the Cayman Islands. Hi, thanks for informative article.I have a Thai spouse and currently living in Thailand on the Thai Marriage Visa (and considered a resident).I currently have a small consulting project for which I am paid B140,000 for services performed within Thailand.Since this "small" income is tax-free (in the 0% tax bracket), do I have to submit income tax returns? PS. The company which commissioned the project is deducting 3% withholding tax from the total amount. The company you did the work for deducted 3% withholding tax on the basis that you were being paid as a business entity outside of Thailand. I'd leave it this way, because by definition you have carried out this work illegally, without a work permit, or a business visa -- which would enable you to carry out certain acts of business while on a visit to Thailand. You can't work on a marriage visa. If you had a registered Thai company, you would file a tax return, regardless of whether you earned under the threshold to pay tax. I'd pocket the money and keep quiet :) But be careful doing such work going forward. Could I be contacted privately as I would like to claim some of the allowances and seek assistance on this process? - is that possible, thanks. I'm pretty sure only paper returns are accepted. could you pay an accountant to do it for you? No, what part of the post did you read that made you think that? Exemption of 30,000 for the parents above 60, sorry my mistake I got confused. If I retire in Thailand I will only have my pension, what is the tax rate on that? If your pension is taxed, I assume it will be done so in your home country prior to you receiving it. Therefore, under the double tax treaty your country will have with Thailand, you won't need to pay tax on it in Thailand. Thank you. Even if I'm in Thailand more than 180 days? VERY informative. Thanks! When you mention an amount for tax purposes, sometimes you state that is baht and sometimes there is no designation. Are all income amounts you refer to in baht?I receive a death benefit which falls under a narrow exemption in US for taxation and is not taxed. Also, Social Security. I assume neither would be taxed? Also, do I have to have a job lined up first to get a work permit? Thank you. All amounts are Thai Baht. The death benefit and social security will not be taxed. You need a job prospect lined up to get the B visa, then you travel to Thailand and your employer will sort out the work permit. You can see all the details in my big Thai visa post. This is true, but is it not possible to apply for a Work Permit? As I understand it, this is possible in some circumstances. Yes, a retiree can apply for and receive a work permit, but then their residence status would be changed from retired to employed.It is not possible for foreigners in Thailand to work here and be retired here at the same time.A retiree can receive other types of income, for example from investments, and would be taxed accordingly. So you wouldn't need to get a B visa first, and then the work permit from said company? If I retire in Thailand on the retirement visa, would I pay taxes on investment income, earned outside of Thailand? No, because you will be paying tax in your home country on these investments. Thailand has double tax treaties with most countries which means if you pay tax at home on investments you won't be required to pay it here. I don't know what the Australian law is, so afraid I can't answer that. This article was actually rather good timing as I was just thinking about income tax in Thailand the other day. I will be retired of course - and I assume that retirement benefits are not taxed - but if I should ever buy a second condo for investment purposes I wanted to know what the taxes would be on rental income, as well as any property taxes.Anyway, its good to know that, should I decide to become a webcam stripper while in Thailand, I won’t have to pay taxes in both countries. By the way, in your opinion, do you think that these “digital nomads” truly believe that they are not required to pay taxes? Or do they just figure that if they can get away with it then why bother? Or perhaps they are just rationalizing to themselves why they should not be obligated to pay taxes. After all I’ve found that human beings are very good at rationalizing unethical behavior to get what they want, particularly when the person being short-changed is a government or big company. Of course, I suppose their also might be a few out there who fear that if they register as tax payers now then they will be more likely to get into trouble once the laws change and government cracks down on people doing this kind of work without a work visa. In terms of earnings on investments overseas, while living in Thailand, there's a rule that foreign income is only subject to tax in Thailand if you bring it into the country in the same year it was earned. Of course, if you bought a second condo then you'd have to pay tax on the rental profits.I'm not sure in all cases those working online believe they don't have to pay tax, but I've heard the "grey zone" rumour a number of times before. I think Thailand makes for an easy place to hid out and stay off the radar. Thailand doesn't have its act together in updating the work permit law to cover the digital age, but when it does I'm pretty sure they will start looking at such cases and asking the simple question, "Where are you currently paying tax". The other thing people should consider is that if you move back to your home country and suddenly start paying tax, they may well ask, at some point -- when they see how long your business has been in operation, "where did you pay tax for those years?" Then you'd face the prospect of having to pay a huge tax bill and possibly fines too.My advice to anyone working online would be to start paying tax asap; not necessarily because I agree with income tax laws, but because you could save yourself a lot of headache in the future.